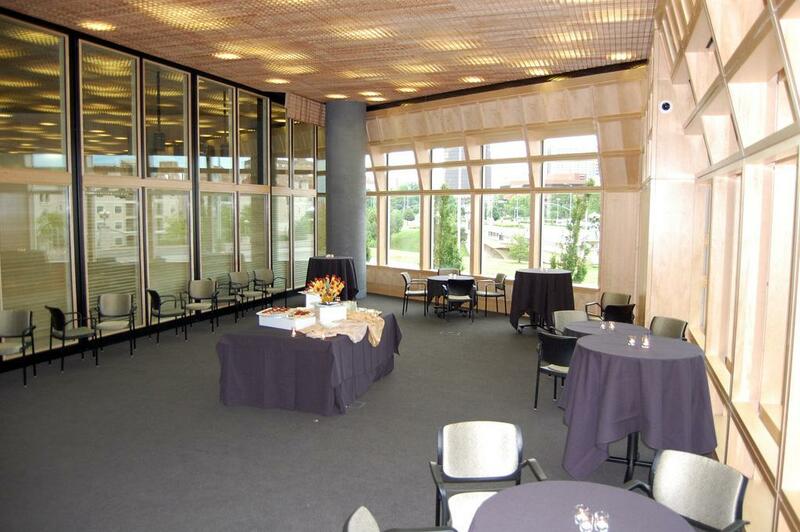 The Plaza Branch’s most versatile meeting space that features one of the best views of Brush Creek. Situated next to the Truman Forum Auditorium it can be arranged a number of ways for multiple purposes. Built-in audio-visual system includes a large presentation screen, data/video projector, lapel and handheld microphones, and lighting controls. Floor-to-ceiling windows on multiple sides that provide natural lighting and openness to space. Pre-function activities can be accommodated in foyer area down the hall.